This stock list could be called special interests as well. Or non-leisure topics, since the themes in the field of tourism, leisure and vacation have been split off. Our images are for editorial as well as for advertising purposes. If you prefer finding photos not by topic but by city, region or country, please have a look in countries, regions & cities. A link brings you to photos truly showing the topic. It is more precise than a normal search. The link angels will lead you to pictures of angels; you don't end up with an image of the Hell's Angels. 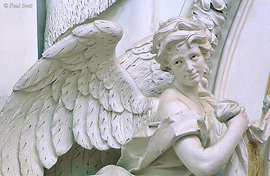 If you like to narrow your search, say you need Angels in Germany, please add "-germany" to "angel" in the browser's webaddress. You can combine any keywords by putting a "-" inbetween. AMUSEMENT Listed in the Leisure Subjects. Below follow some subjects which cannot be found in the way mentioned above, since human keywords, like "woman", are not attributed in art but only in photos. A large number of our images suit the needs of the calendar editor. In this list you find general subjects, like 'mountains' or 'angels'. Travel/tourism/leisure themes are on Travel Subjects. Everything surrounding flowers and gardens is on Flowers & Gardens. You can always narrow a search. Imagine you publish a calendar "Castles in Germany". The link "castles" leads to all castles. Then add "-germany" to the webaddress of your browser, directly behind "castles", and you get what you're looking for. You can combine all keywords by putting a "-" inbetween. CRAFTS Listed in our stocklist Leisure Subjects. SPORTS Listed in the Leisure Subjects. TOURISM/TRAVEL/LEISURE This is the largest subject, therefore listed on a separate page. It contains: accomodation, amusement, at the beach, boating, camping, cars, the city, crafts, food & drink, holiday activities, markets, museums, outdoor, people (on holiday/at leisure), sports, typical this and that country, top destinations, transport, villages, waterside, winter holdays. TRANSPORT Listed in Leisure Subjects.